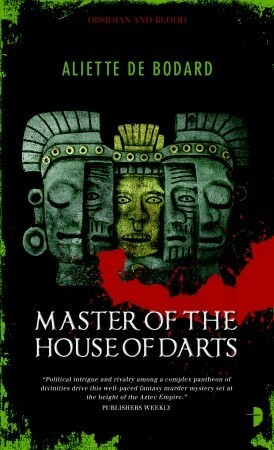 The third book in her epic Aztec fantasy series. The book starts about three months after the end of the previous one. The Mexica Empire has a new ruler, the Revered Speaker, but he hasn’t yet consolidated his rule with the gods. In order to do that, he needs to get lots of war captives and sacrifice them. However, when he gets back from the Coronation War, his warriors have captured only a small amount of enemies and during the welcome ceremony one of the Mexica warriors falls down, dead. Acatl suspects that he died of magic and wants to see Eptli’s body but the new Revered Speaker is a paranoid and arrogant man who seems to care more for ceremony than the health of his warriors. It turns out that Eptli isn’t well-liked at all and Acatl has more suspects than he really needs. Soon, he finds out that Eptli was indeed slain with a spell. And the magic used is contagious. The city is facing an epidemic. Also, consequences from the decisions done in the previous book comes to haunt Acatl. Acatl is the same humble man he was in the previous books but he has learned somethings. The rift between him and his former student Teomitl is growing because Teomitl is a royal born warrior who has now taken on the responsibilities of his station. He is also far more liked among the warriors than the current Revered Speaker who doesn’t like that. This is a great ending to the series. However, the ending leaves possibilities for continuing the series. 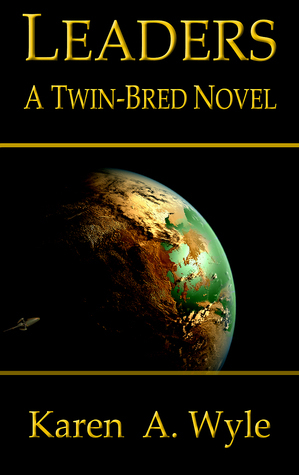 De Bodard has written some short stories in the same setting. The stories continue from the previous collection. In her adventure in Las Vegas, Storm’s ankle broke and so she takes a flight in an airplane back to New York. At the start of the flight, people recognize her and one of them doesn’t want to fly with her. However, the plane gets off with Storm in it. She just has the time to chat with a woman who is taking a donated organ to the recipient, when the plane is attacked. A senator is onboard and his guards assume that Storm is responsible and threaten her. However, Storm ends up protecting the plane from the attacker. Yet, when the plane finally lands, after a hard flight, Storm is arrested. The next two issues delve into the consequences of the plane incident and of the previous collection. Some really powerful people are unhappy that Storm has dared to meddle in their affairs. This gives the previous stories some continuity. Then Gambit! He’s now the boss of Thieves’ guild but he has a problem and wants Storm’s help. Apparently, some of his underlings have turned against him. Also, Gambit wants to rob a treasure which is guarded by none of other than Hermes himself. This is a light romp, but a really thin excuse to get a Gambit appearance. In the final two issues, Storm returns to the school and a subplot kicks into high gear. Subplot involving… mold! Of course, when the X-Men are involved, it means deadly, cybernetic mold done by a former student. The student has a big chip on his shoulder and he believes that Storm’s (or rather Xavier’s) inclusive dream is only for the pretty people. These issues apparently tie up some X-Men related stuff. A student named Marisol is a significant secondary character. 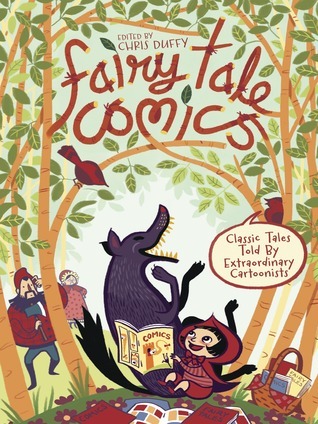 Even though I’m not familiar with those stories, this collection mostly worked for me. It’s was a bit better than the previous volume, too. Still, these stories turn out to be average. Well, it turned out that the title was cancelled after this. Too bad, it was just getting started. One of my favorite X-Men has gotten her own comic! Collects Storm 1-5. 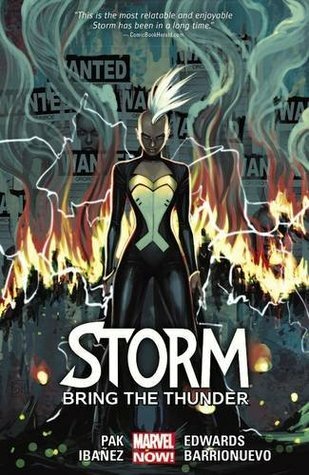 I was very excited when I noticed (on Marvel Unlimited) that Storm has now her own comic. However, I thought that writing her as a lone character might be challenging. And I was right. Storm is an integral part of the X-Men and doesn’t have her own rogue’s gallery or supporting characters. (Yes, she was the sidekick of Black Panther for a while but that doesn’t seem to have changed her at all – after the divorce she slipped right back into the X-Men as nothing had happened. Disclaimer: I haven’t read the Black Panther comics but that’s the impression I’ve gotten from others.) Interestingly enough, even though we have loads of X-Men, very few of them have had on-going spin-offs focusing on just one character, although some have had one-shots and limited series. Of course, a one-off or a limited series has a focus written in: such as the Wolverine/Kitty Pryde limited series decades ago. 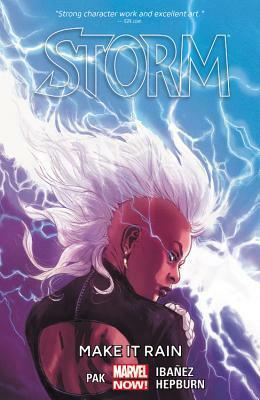 Storm actually had a limited series, before the wedding, which focused on her youth. However, over the years there have been significant storylines focusing on Storm, such as her second youth with Gambit, her fight with Callisto and Morlocks, and her romance with Forge. Callisto makes an appearance in this collection, too. This collection feels somewhat disjointed at first. The first issue has Storm rushing to help people living under dictatorship in Santo Marco where the officials want her to leave. But the people want her to stay and she does. In the second issue, she deals with the consequences of that and looks for some missing orphan kids in New York. She also has lunch with Wolverine (whom she’s now apparently dating). In the third issue she confronts Forge which was inevitable, considering their past relationship. However, Forge has been portrayed as pretty nutty in recent years and Storm acknowledged that by not trusting him. Then we get a two-parter centering on Yukio. She’s Storm’s and Logan’s friend and in part inspired Storm’s first Mohawk style and change into a harder person and a leader from the original gentle goddess. But first, we’re supposed to believe that Wolverine is really dead and Storm grieves him. But then she pulls herself together and rushes to Las Vegas to help Yukio. She’s in a wheelchair – and the boss of a large criminal organization. Needless to say, this doesn’t sit well with our heroine. It seems that these are part of a larger plot which gets into high gear in the next collection. The writing is somewhat different from the average loner hero because Storm has a lot of responsibilities at the school and with her friends. But she also gets help when she needs it. Overall, I liked this beginning and I’m eager to see where it will go. Last week’s question was: What do you do with books you weed out of your library? If you’re like me, you find this VERY hard to do, but you want your old books to have a good, happy life somewhere … so where do you send them? What do you do with them? Most of the time I take them to a second-hand bookstore… and get more books from them. Or DVDs. Some I’ve donated to the library and some given to people I know. I also use BookMooch. When I love a book (or series) I get it from Audible as an audio book (when its available) and put the book on BookMooch or take it to a second hand bookstore. And today: How often (if ever) do you weed out your library? I used to weed my printed books and comics before moving. However, now I live in a smaller place so in order to buy more I should get rid of others. (But I’m terrible at weeding.) I haven’t yet weeded ebooks or comics. The fourth in the Smokey Dalton historical mystery series. Smokey is a black man in 1969 Chicago and a private detective. He has continued his romance with Laura Hathaway, a rich white woman, and it brings some problems with it. The story starts with Laura and Smokey taking part in a charity fundraiser for orphaned black children. Laura’s suggestion of white families adopting them isn’t received well, to say the least. On their way to Smokey’s apartment, Smokey hears a woman calling for help from his neighbor’s apartment. He and Laura investigate and find an unknown black woman bleeding heavily. They get her to a hospital where the doctors refuse to help her because they suspect that she’d done an abortion, which is illegal. Laura won’t stand for that, though. Smokey tries to find out the strange woman’s identity and ends up investigating on who is responsible for the botched abortion the stranger suffered through. In another plot thread, Smokey works for Laura inspecting the buildings her company owns. When he finds the remains of a baby, he just has to find out who is responsible. Also, Black Stone Rangers and the Panthers play a significant role in the story. Several plot threats make this book is bit more sprawling that the previous ones but no less enjoyable. Many familiar characters return and Smokey’s adoptive son Jimmy starts to act out on his teenaged impulses. Jimmy feels left out of Smokey’s life when Smokey deals with problems he doesn’t want Jimmy to know about. The boy’s also afraid that Smokey will be injured or even killed. Even though Smokey’s friends would no doubt take care of the boy if that happened, it’s not enough for the boy. 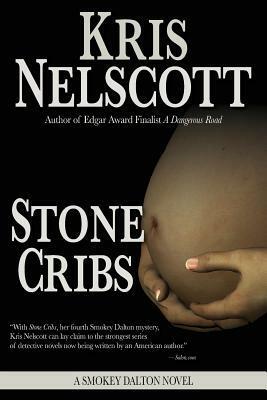 Nelscott describes Chicago wonderfully even though the racism is hard to read about. And racism does worm its way into pretty much everything. As far as I can tell, the characters are realistic for their time. The story is a chilling reminder that women’s current rights haven’t existed for long and people are again, or still, working to diminish or destroy them altogether. Even here in Finland.